eNDi Burger & Coffee belongs to a family of four. Each of them has contributed in their own individual way to the concept of this restaurant. Junior e’s love for burgers lead to versatile experimenting in the kitchen at home and with that we discovered many tasty and innovative creations. Hence, it was our wish to share all these new recipes with the world. Papa N’s passion for coffee stems from his 15 years of experience in a coffee roasting house in Zurich. There he started to wish to be a proud owner of a well renowned coffee shop one day he himself. It was his dream to offer a high-quality coffee which, as a connoisseur, he appreciated the most. Thereof came to be the collaboration with Seattle’s Best Coffee, who puts its coffee beans to the strictest quality checks and uses sophisticated roasting methods in order to ensure the best taste for its coffee. With all this in mind eNDi Burger & Coffee decided to be the first coffee house in Switzerland to introduce this brand. Mama D’s talent for anything culinary and love for freshly prepared food at home further supporter everyone’s wish to have an own family-run restaurant. Due to her work in the tourism sector she has had the opportunity to travel extensively and taste international cuisines. That’s how Mama D discovered her passion for food and also began to dream of owning a restaurant which offers these diverse and international tastes that are prepared in Mama D’s fashion freshly and locally. Little i topped everything off with her love for French fries and Mama D’s carefully prepared meals. Though her demands are the highest because she also asks for exciting and tasty recipes without accepting long waiting times. With all this enthusiasm for food and cuisine it was decided in the name of each and everyone in the family to open eNDi Burger & Coffee. 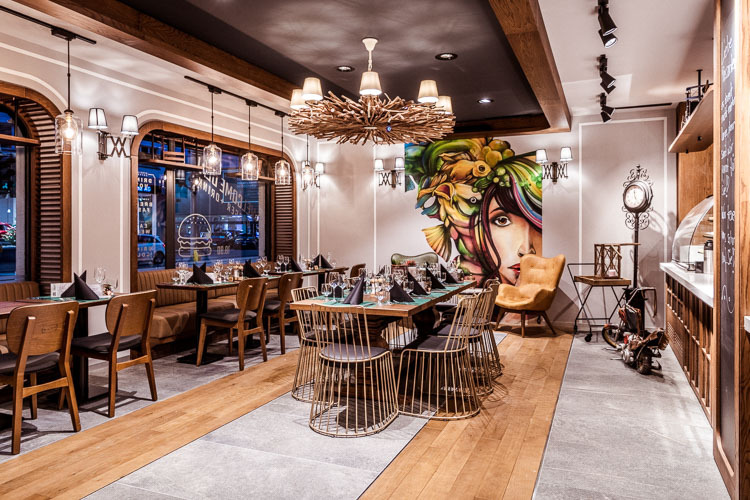 Together with the chef Remo Nussbaumer whose love of experimentation and interest in new tastes fit in perfectly into the eNDi concept, the family could make the dream of owning a restaurant come true. As a trained cook and experienced restaurant proprietor he brings along the necessary know-how to transform eNDi’s innovative ideas into specific and carefully harmonized recipes.